Chinatown in Boston, in any major city, is an experience not to be missed. You walk the streets and smell garlic, seafood, fish sauce, and soy. The sidewalk is a little dirty, but so what? The food always bursts with flavor and freshness. My boyfriend (who is Chinese) and I have tried several places in Boston’s Chinatown. 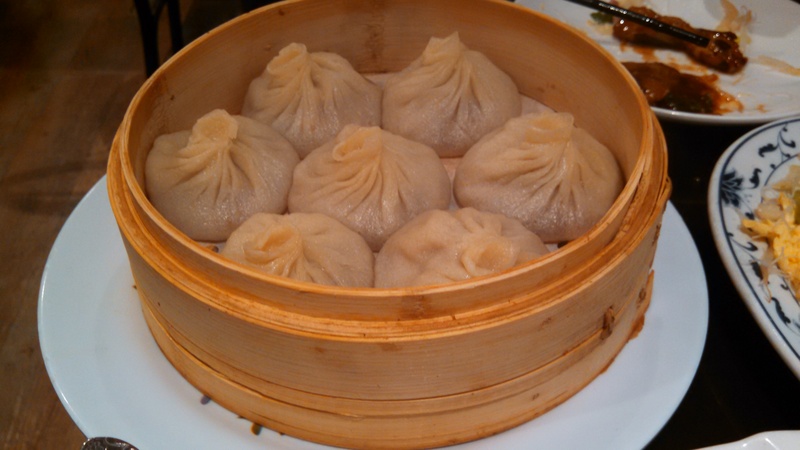 Gourmet Dumpling House and Peach Farm are both excellent choices for Chinese cuisine. Pho Hoa serves fantastic Vietnamese pho noodle soups that I am convinced can cure any ailment. However, the talk of the town is Taiwan Cafe. Voted Boston’s Best Chinese Restaurant of 2014, I just needed to see what all the hype was about. The initial hesitation about visiting a Chinese restaurant in Chinatown for the first time is, will the restaurant be small and cramped for space? Will there be a crazy line out the door? This happens (for good reason) in Chinatown, but part of that dining experience means that they will want you out of there in a timely fashion. Taiwan Cafe is a reasonably spacious restaurant for Chinatown. My boyfriend and I were seated in just a few minutes, and I could walk freely to the table without bumping into anyone. The waitress immediately serves you a warm pot of tea, one of my favorite things about authentic Chinese restaurants. I leave the ordering to my boyfriend, the true expert. We started with Fuzhou style noodles. 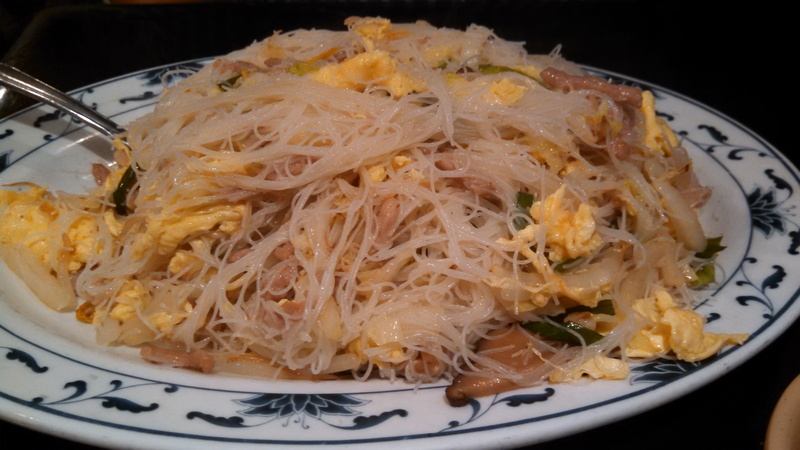 These light rice noodles are sautéed with egg, pork, shiitake mushrooms, scallions, and napa cabbage. This dish was packed with incredible flavor, and the light texture left me feeling satisfied yet not too full. Is it obvious that I’m obsessed with eggplant? The Chinese really do know how to prepare their eggplant. 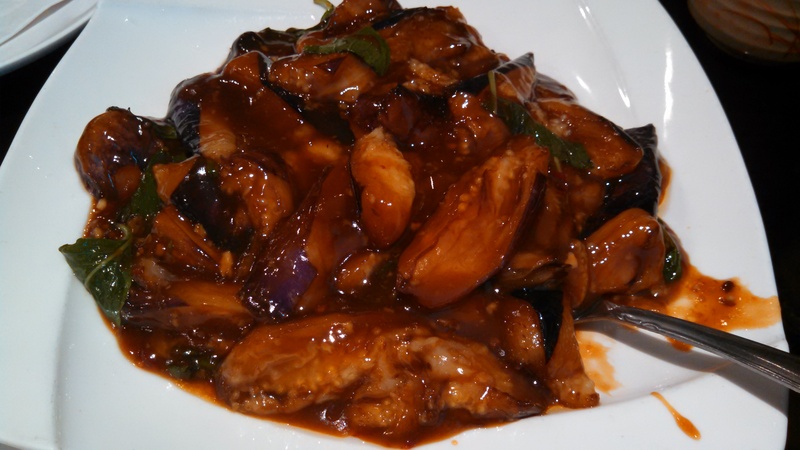 Chinese eggplant is small, light purple in color, and oh-so tender! This eggplant, sautéed in a sweet brown sauce, is made more savory with the addition of basil. Each piece melts in your mouth. By itself the dish is a treat, though I would highly recommended getting a bowl of steamed rice to go with it. Yum! 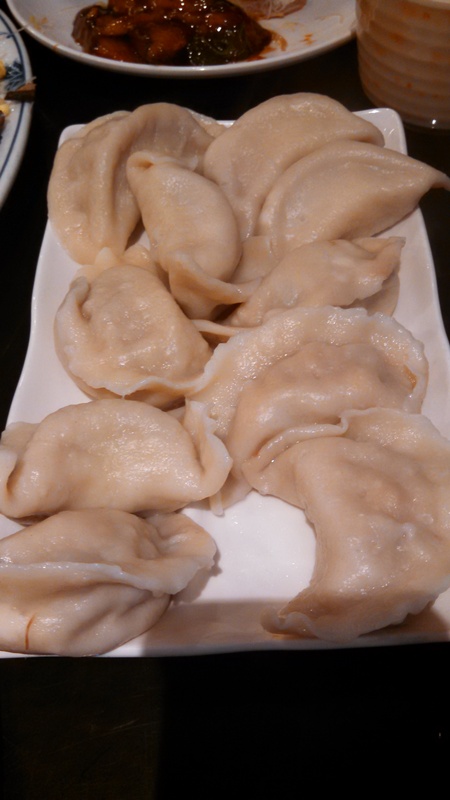 Dumplings are not the same in every Chinese restaurant. While Gourmet Dumpling House has thicker dough and a wetter filling inside, these dumplings are rich with thick, flavorful filling. Both varieties are delicious in their own ways! I must say, though, that the last item we purchased trumped these dumplings. Oh my. Pork buns. I had never eaten pork buns until last night. My boyfriend laughed and smiled as he told me his memories of eating pork buns with his brother, slurping the soup that is inside and then enjoying the pork filling and dough. The buns come steaming hot in a bamboo pot, and yes, they are filled with soup and a pork “meatball” of sorts. You can puncture the pork bun with your chopstick, or you can take a small bite and then slurp the soup from there. Make sure the pork bun has cooled, though! Burnt tongues are no fun. If you do not slurp the soup in time, it will ooze or squirt out of the bun. This creates some hearty laughs for sure! When I come back to Taiwan Cafe, I may just take an order of pork buns for myself. No shame. Overall, I highly recommend Taiwan Cafe, situated on Oxford St. in Chinatown. Traditional, spacious, and delicious, you can feel right at home with true Chinese comfort food. Oh! I almost forgot. They have a fish tank in there and you can watch them catch the fish to cook. Cool!